I love craft supplies! I really enjoy trying different coloring methods. That being said I also have a little sickness called “full set syndrome” So, when I discover a new coloring medium I dive straight in having to have them all. When Stampin’ Up! introduced their new alcohol markers back during the winter, I was all in! I loved the alcohol markers I owned (Prismacolor). And now I could have a similar marker with Stampin’ Up! exclusive colors!!! Um, Yes! PLEASE! When I got these markers in my hand I was even more head over heals!!! The Stampin’ Blends are beyond amazing! Why do I love these markers so much? Because as the name suggests they have a amazing ability to blend together creating a smooth or compleat colored image with out harsh lines. This is because of the alcohol in the markers. When working with Stampin’ Blends you want to use an ink that will not bless when the alcohol touches it! Stampin’ Up! has a great in that is perfect for the Stampin’ Blends. This ink is Memento Tuxedo Black. There are other choices on the market. But, Memento Tuxedo Black is a wonderful ink that you will enjoy using. The paper you choose to work on will greatly determine the results of the project. Whisper White is a wonderful choice! The clay finish on the paper makes it wonderful to color on. Shimmery White is also another choice. The ink moves really well on Shimmery White Paper. So, you have to be really careful when coloring close to the edges of images. Cause the color will bleed on this paper. But, this is easy enough to fix with the color lifter. Another great choice is Glossy White. The blends become very bold on glossy white paper! The blending effect is less and it is really easy to get dynamic colors. I really enjoyed making these easy backgrounds! I hope you will give this fun technique a try! We had a good weekend in Birmingham celebrating with my cousin Cody and his Bride Karley! We are so happy for them!! I’m leaving you with a picture from that day! Have a great Monday! Go and live creatively my friends! Ideas for cards can come from just about anywhere. On of my favorite social media outlet for inspiration is Instagram. There are some awesomely talented people in this world sharing what they create. Recently, while scrolling through Instagram I saw a wedding menu that was drop dead gorgeous…. The colors were just amazing!!! And it had this large jewel holding the ribbon together….. So awesome!! Check it out below or Trever Scott Design on Instagram. He named this post shades of happiness. What a perfect name!!! I just knew I wanted to recreate this beautiful design in a card from. The stamp set that came to mind was Paisley & Posies. I love this set! It is always out on my work space just about all the time. Waiting for me to use it!! Just in case a card needs a paisley. Because, life is better where paisleys and posies exist!!! I placed all the stamps in my misty. I also used a few stamps from Eastern Beauty to fill in. Then inking the stamps with versa mark stamped all the images at once. Heat Embossing is so magical. After adding the embossing powder, use a heat tool to melt the powder. The Faceted Gems were the perfect touch of bling. Below is a list of products used in making this card! If have any questions feel free to comment below. Shop big and save!!! We always love our host! But right now they are extra special!!! So, when you are ready let me know!!! I am always happy to work with you. It’s a perfect time to save even more on all the NEW products!!! The new catalog is full of Awesome New product! And some pretty amazing returning items!! I just want to take a moment and thank my friend Andrea who was with me every step of the way while making this card. My Saturday chatting with you and stamping was perfect!!!! Only thing better would have been if we were together while crafting. I always love seeing your amazing art!!! Lets all be creative today! Life is better when we make time to do the things we love. It is always hard to carve out time for yourself. But, that time is as important as everything else. 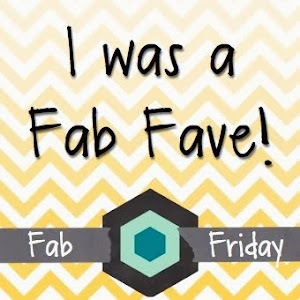 Fab Friday Challenge is back for 2016! that is hot press. The hot press makes a smother surface for stamped images. And the cotton makes a fabulous surface for washes. If you are like me and always wondered why your washes do not outcome looking like you want. Then change papers. It truly can make all the difference in the world. Even when using ink. It really makes a difference. I personally really like how the Catiera Magnani paper reacts to ink. The other paper has great change from the beginning to when it dries. And that the ink does not lay well on the paper. I would have added a picture of the Cartiera Magnani paper when it was dry. But, you would not have been able to tell the difference. When working on another color challenge I did this same wash test and the results were much more obvious. The Bermuda Bay ink really blooms into the other inks on the Canson paper. On the Cartiera Mangnani paper the transition is much smother. So, Like I said if you are not happy with your washes. Try a different watercolor paper!!! I am supper excited that the Fab Friday challenge is back for 2016 with all new challenges for us all. There first challenge of 2016 is a color challenge inspired by the upcoming Valentine’s Day. Be sure to hop over to Fab Friday and see all the wonderful cards by the design team! They truly have some great inspiration. I decided to use this color combination to make a wash behind a bold sentiment. The Botanicals for You Stamp Set was perfect. If you just love this stamp set it is one of the Sale-A-Bration sets. This mean that it is FREE when you purchase $50 from Stampin’ Up! The card base is real red card stock cut at 5 1/2 inches and cut at 8 inches. Then scored at 4 inches on the 8 inch side. This makes for a unique card size. The layers are Blushing Bride ( 5 1/4 by 3 3/4) and Watercolor paper ( 5 by 3 1/2) The sentiment is stamped in Versa Mark ink. Using White embossing powder and a heat gun the images is embossed on the watercolor paper. Then using the ink refills and a little water I made a simple wash of Watermelon Wonder and Real Red over the stamped/embossed image. After the wash dried I added the Blushing Bride sequins. (they are actually from a set of sequins from mint owl. But, they are the exact color of Stampin’ Up! Blushing Bride. Shush….don’t tell anyone :>) Finally, I add a little gold thread to the left side for a little extra interest. Remember to decorate the inside of your card…. To add the sequins…simply add a little crystal effect to the Silicone Craft sheet . Using tweasers I dip the back of the sequin into the crystal effects then add to the card…. The watercolor wash is started with Real Red then migrates into Watermelon Wonder then back to Real Red. Hot Press watercolor paper is smother than Cold Press watercolor paper. This makes a big difference in the stamped image. Especially. if you don’t want to stamp the image more than once. Here is the supply list: You may wish to try Cartiera Magnani Watercolor Paper. And the Sequins are from Mint Owl. They are in the Blossom mix. Also, you will need water and a paint brush. I used a Winsor & Newton Cotman Aquarelle brush 1 inch size. You will also need a heat gun and white embossing powder. Both can be found at Stampin’ Up! Be sure to head over to Fab. Friday to check out the projects by the Design Team! They are really great. And be sure to leave some blog love while you are over there!!! Also, be sure to check out the newest class over at Online Card Classes. I am currently working through the Watercolor Intermediate class. And it is amazing!!! I am learning so much :> I would love to here from you.. What is your favorite watercolor paper? Are you loving Sale-A-Bration as much as I am? I always gravitate towards certain stamp sets. Some I love from the moment I see them, others I love after I have bought them. Some stamp sets I love from the moment I see them and then have a hard time stamping with them once I have them. (I’m playing around with one of those sets right now…day’s trying to get what I want) Other stamps I’m not sure what to do with them when I see them. But, once I start seeing all the beautiful creations and use the stamp my self I fall in love. It is always interesting to see what stamps I keep reaching for. Dove of Peace is defiantly a Love . I could use it every day and still want to pick it up again and create something new. I was looking through some paper from the Holiday Catalog and in the Happy Hountings Designer Series Paper their is a great black paper with stars on it. Perfect for a night sky. I just knew it had to be paired with Dove of Peace. The other little add sparkle comes from the new Black Glimmer Paper in the Holiday Catalog. No Black Glimmer Paper is not just for Halloween!!! So, Now I bet I have you wondering how in the world do you make Happy Hauntings and Black Glimmer Paper work with a Christmas stamp. Stamp the Dove of Peace in Versa Mark ink then sprinkle with black embossing powder. Then Heat set using a heat tool. Make sure to use the embossing buddy before you stamp the dove. Also shake off any access embossing powder before heating the powder. I just love watching the powder turn into a raised embossed layer. So very cool!!!! Make sure you check out all the wonderful items that are apart of the weekly specials. Thank You for stopping by Westside Paper Creations. I hope you have a great and wonderful time creating today. See you soon and Happy first day of Autumn! Fall is officially here!! On Saturday, I tried to move about a bit and this was the results of the effort. Every Blessing is a wonderful stamp set from the Annual Catalog. The paper used is Winter Wonderland from the Holiday Catalog. When I finally got this paper in my hands two things struck me. How wonderfully different this paper was. The combination of back, gold, and white is just wonderful. It has a great shine about it that speaks to the specialty of the Holiday Season. The second was how one particular sheet looked so much like the night sky constellations. Is it just so Shinny and Bright!!! The sentiment is from Versatile Christmas in the Holiday Catalog. This is a must have set if you are planning on making Christmas Cards. Because it is full of sentiments many of witch can be used inside a card or on the outside. I only used part of a sentiment stamp. By masking off the part I was no going to use. This allowed me to only ink the part of the stamp I was going to use. Then I removed the mask before stamping. On the Winter Wonderland layer stamp the image in Versa Mark ink and sprinkle with the gold embossing powder. Heat set the image. Before stamping make sure to use the embossing buddy so the powder does not stick to unwanted surfaces on the paper. Adhere the black and white strips together then add a layer of gold thread. Stamp the sentiment from Versatile Christmas in Versa Mark ink and sprinkle with gold embossing powder. Heat set the sentiment. Again be sure to use the embossing buddy before stamping. I masked off the with you so it would not show when stamped. All that is left is adhering everything together. I used multipurpose glue for this task. Thank You for stopping by Westside Paper Creations. It is truly great to be back up and about with you guys. I hope everyone had a great weekend and that their Monday is good as any Monday can be. If you have any questions or comments about today’s creation or stamping in general leave a comment in the comment section below. I would love to know what you thought about today’s card. I am looking forward to meeting you back here soon. Have a Fabulous Day!